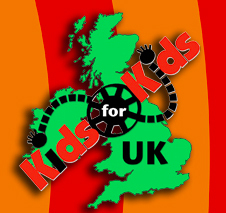 Kids for Kids UK is a registered community interest company working both nationally and internationally from a base in County Durham. Our mission is to inspire the creative thinkers of the future, support the work of artists and filmmakers alongside the provision of a diverse workshop and events programme for children and young people to participate in. Through the delivery of our annual international film festival we hope to inspire the filmmakers of the future and introduce young people to the possibility of a career in the creative industries. Alongside the programming of our film festival we also provide an award winning workshop programme, valuable volunteering opportunities and international links across the world.